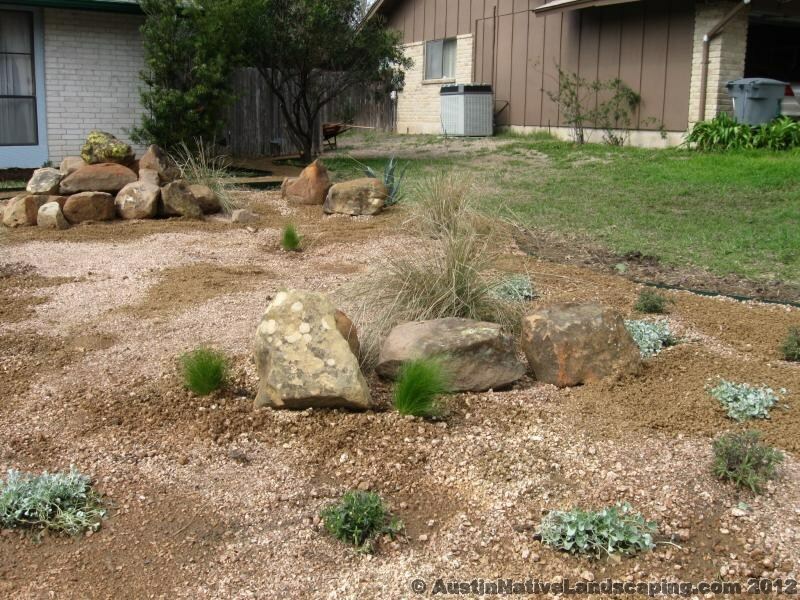 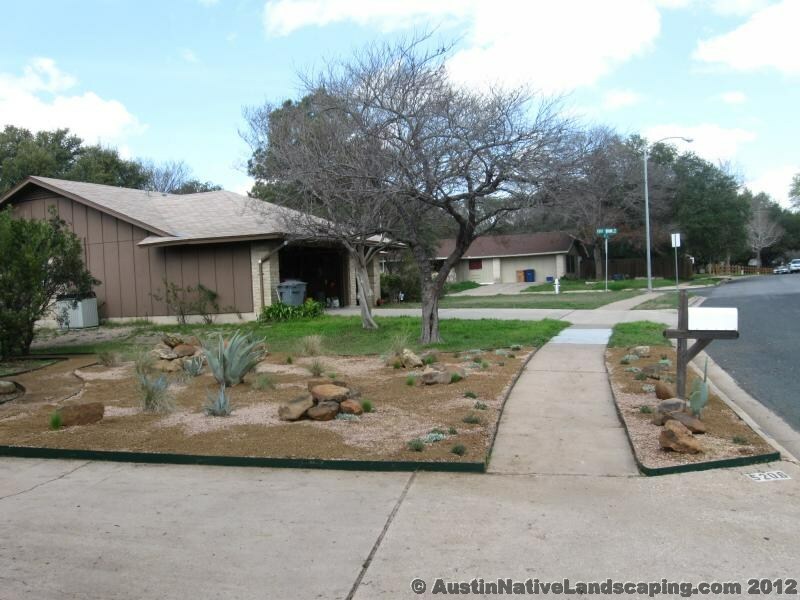 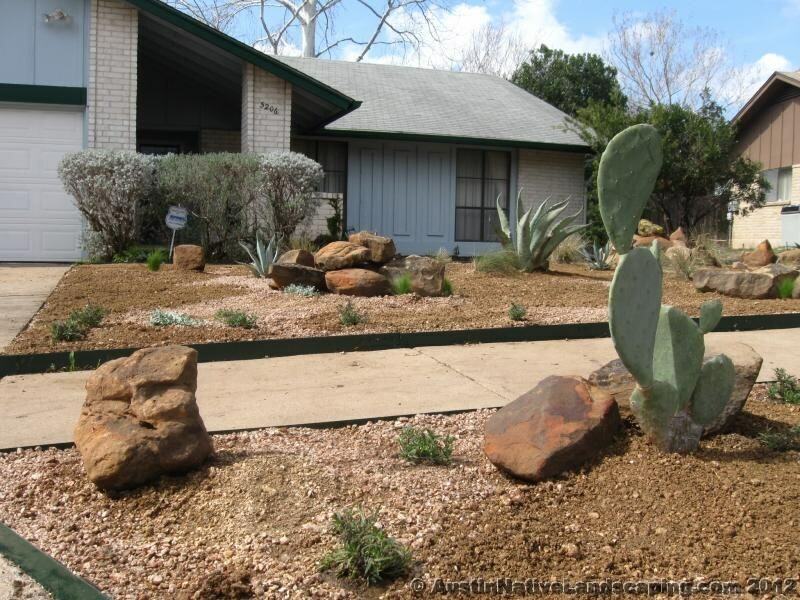 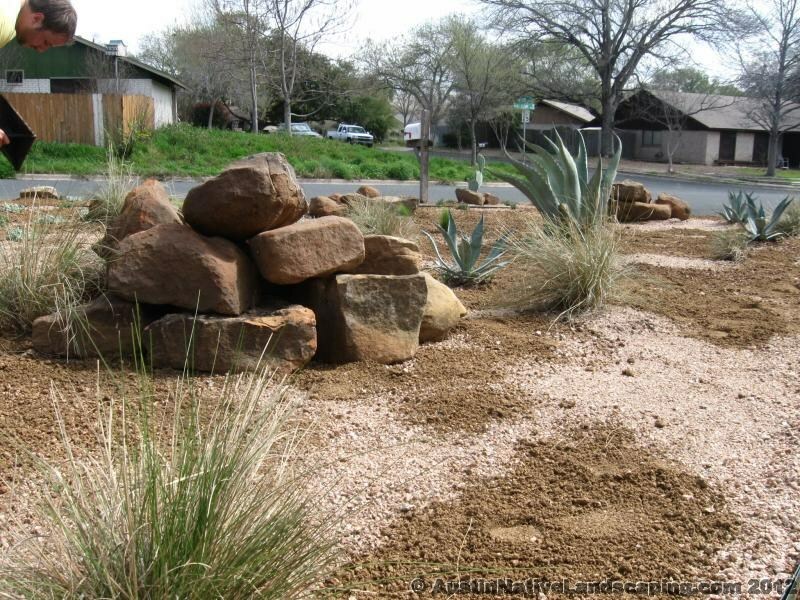 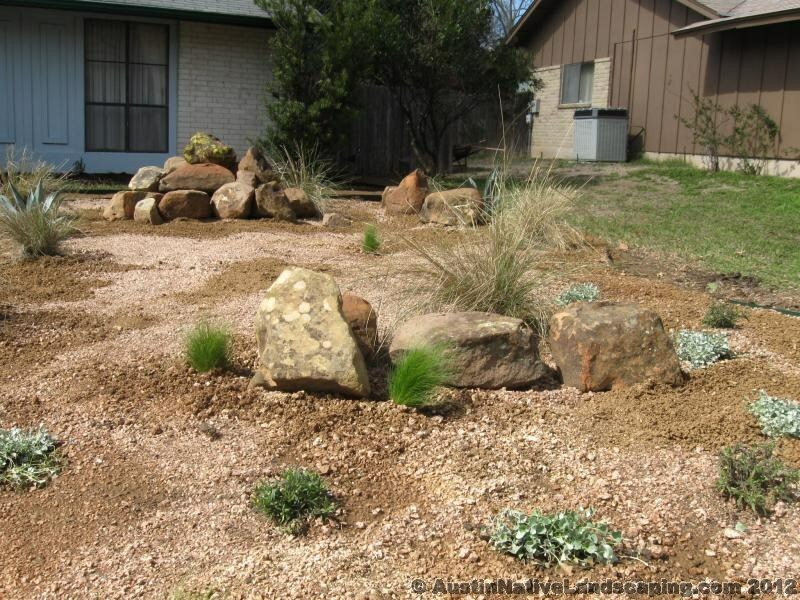 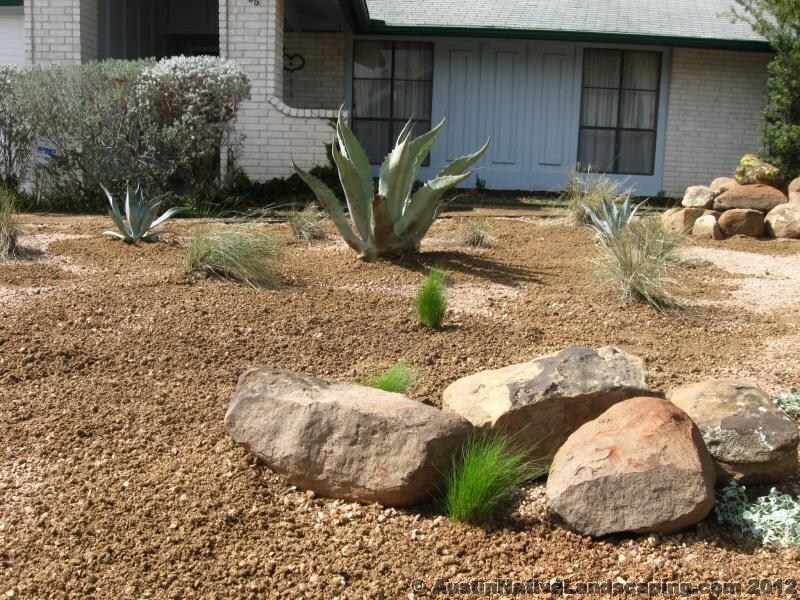 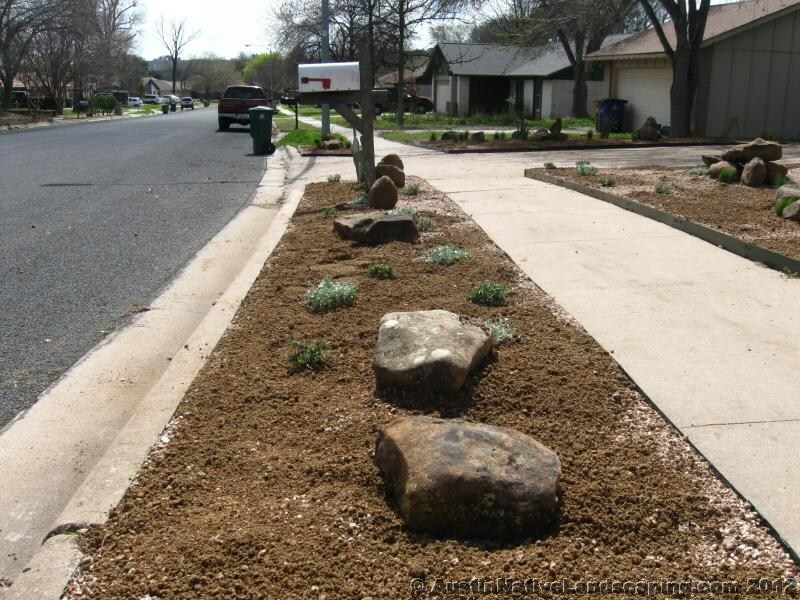 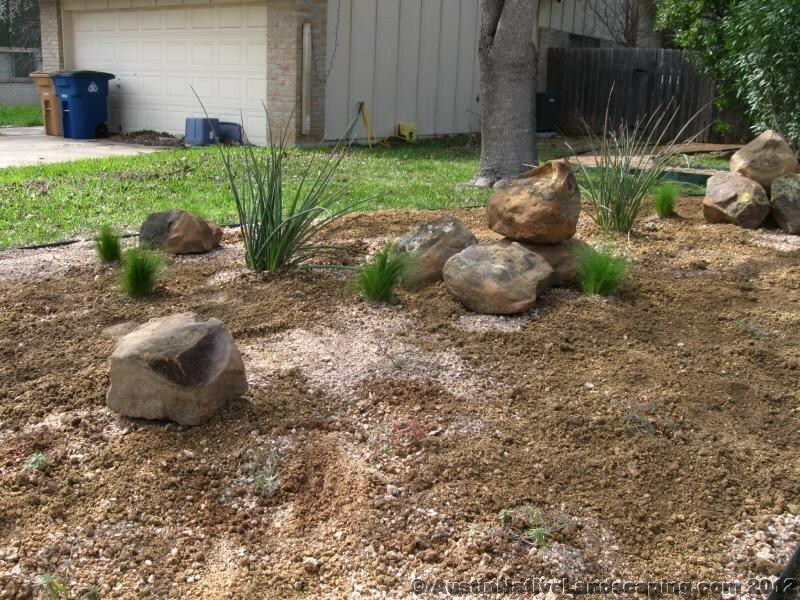 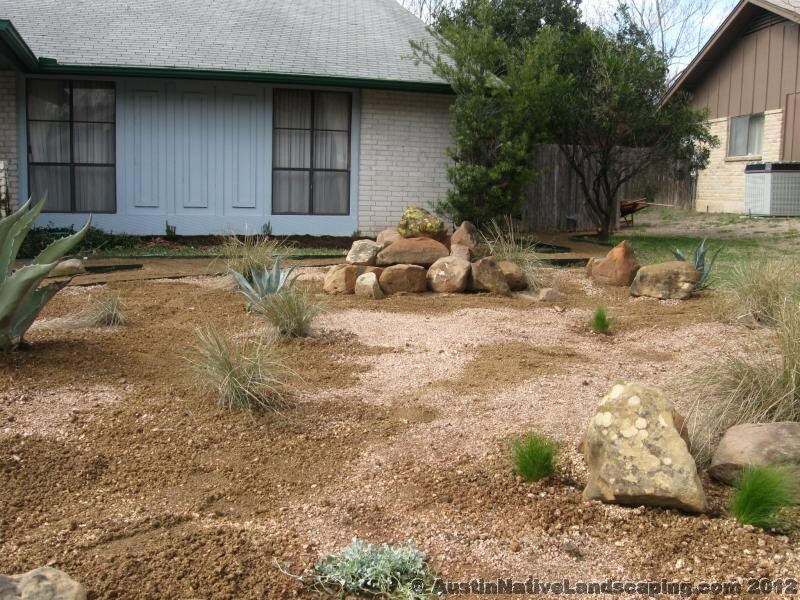 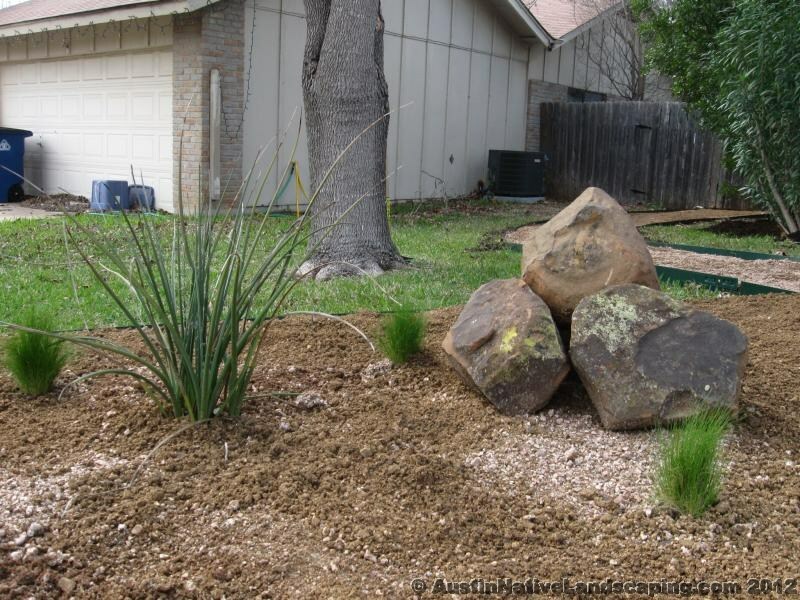 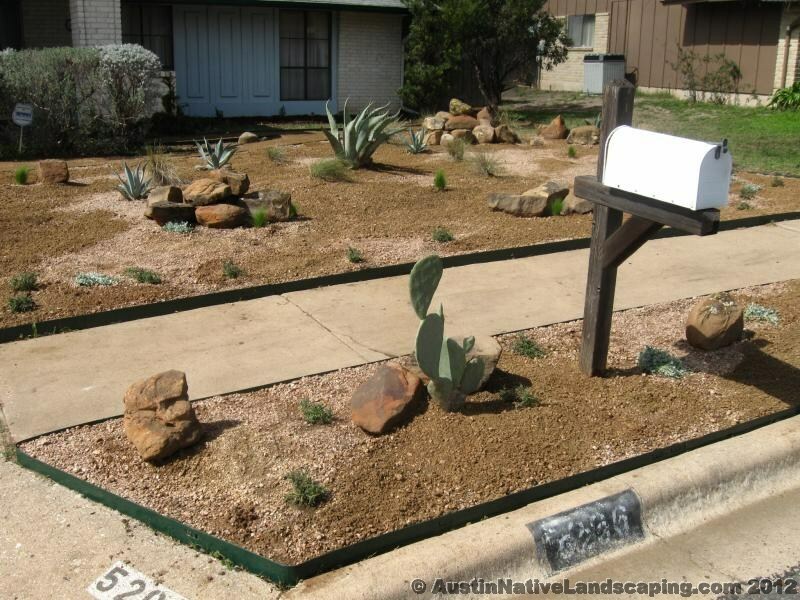 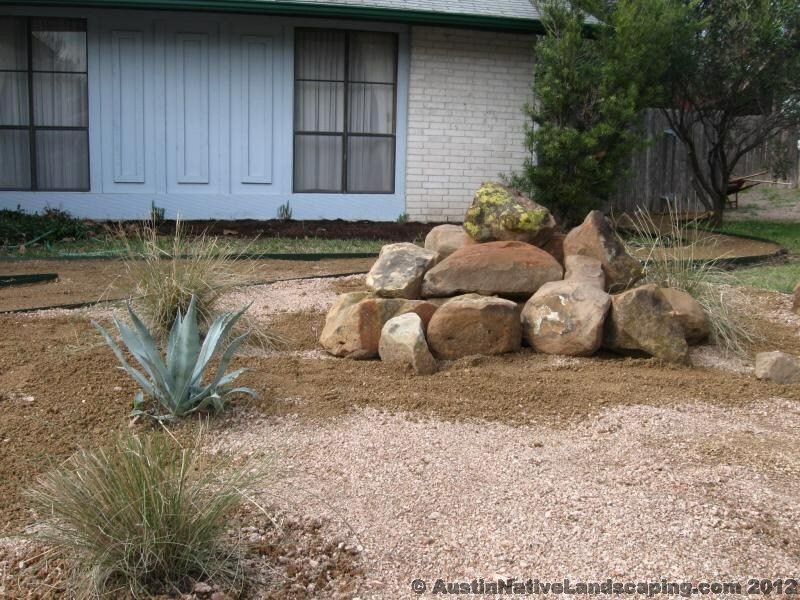 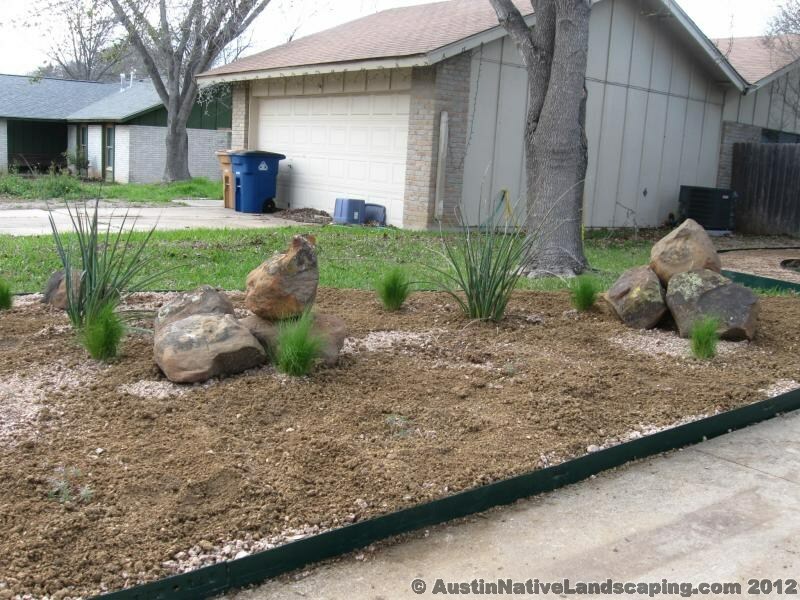 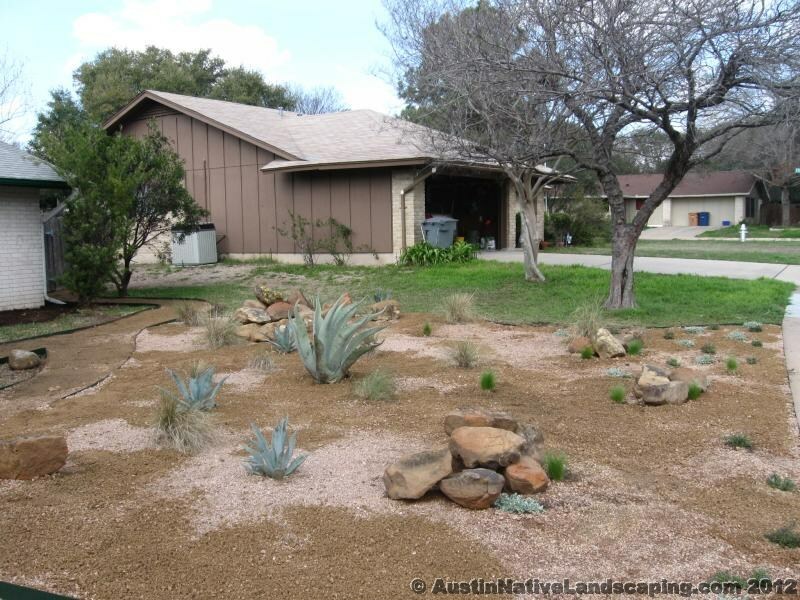 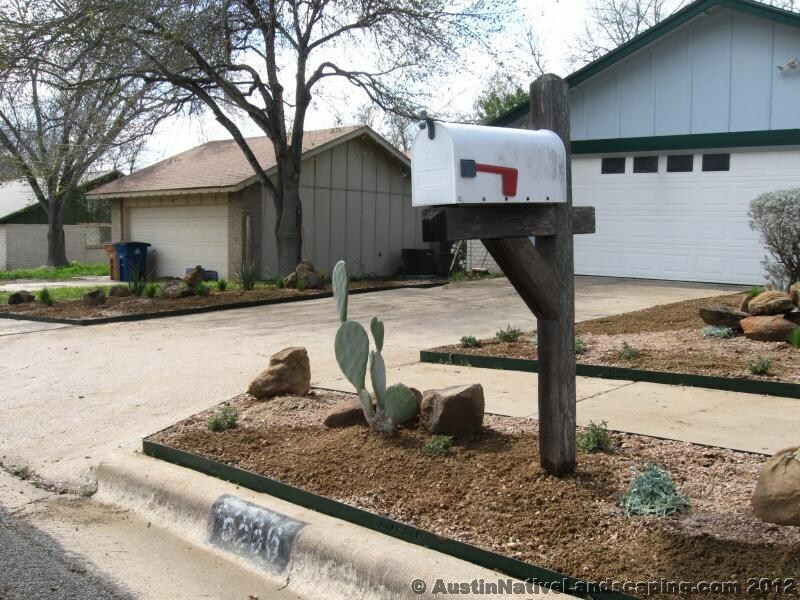 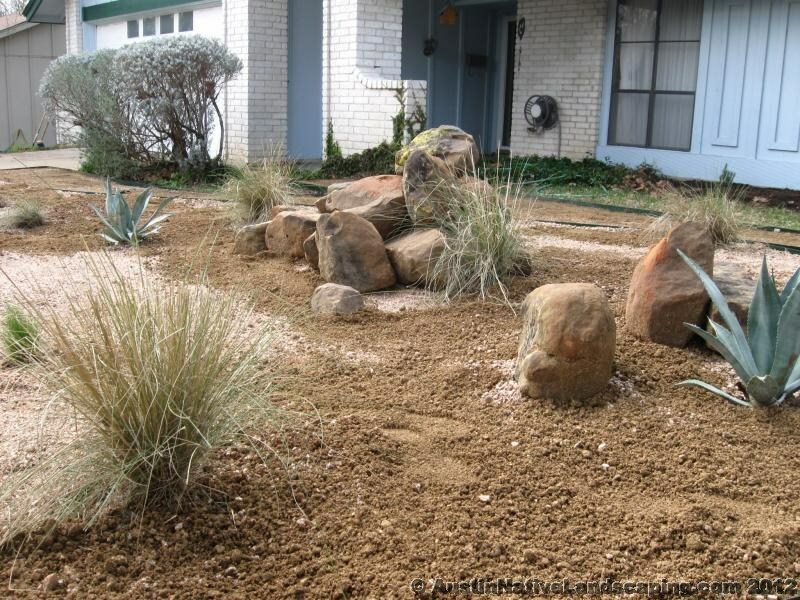 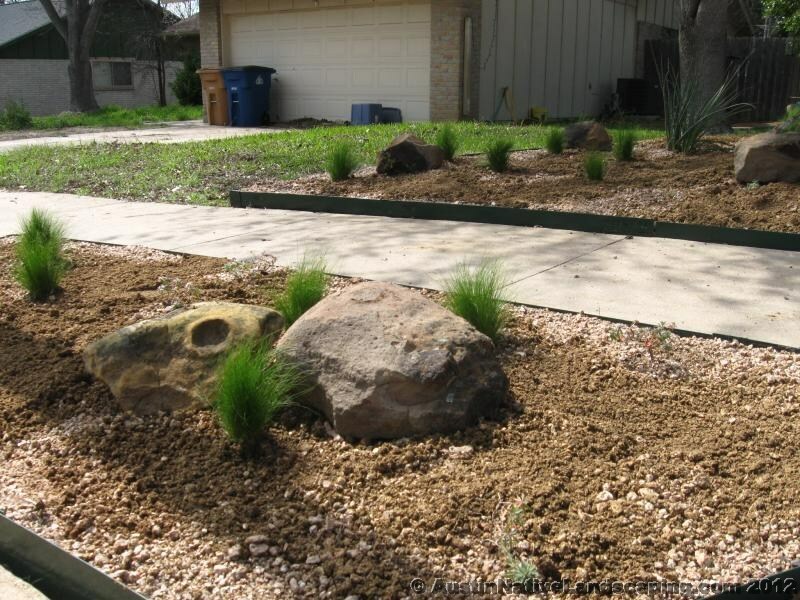 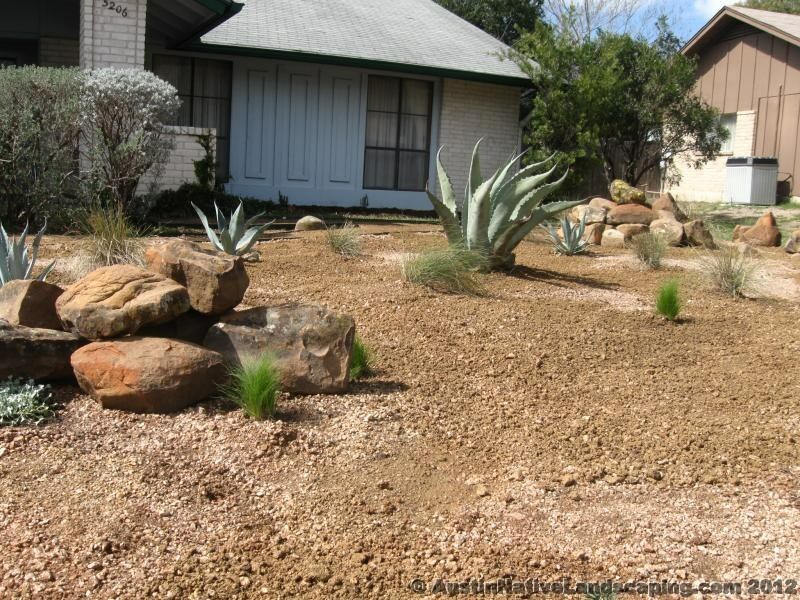 Austin Native Landscaping > Austin Native Landscaping Blog > Signs Of Drought Resistance! 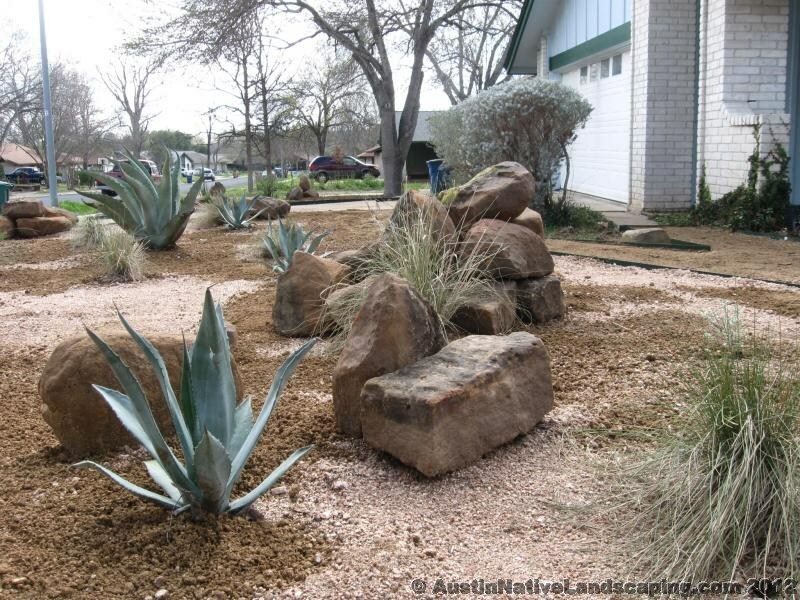 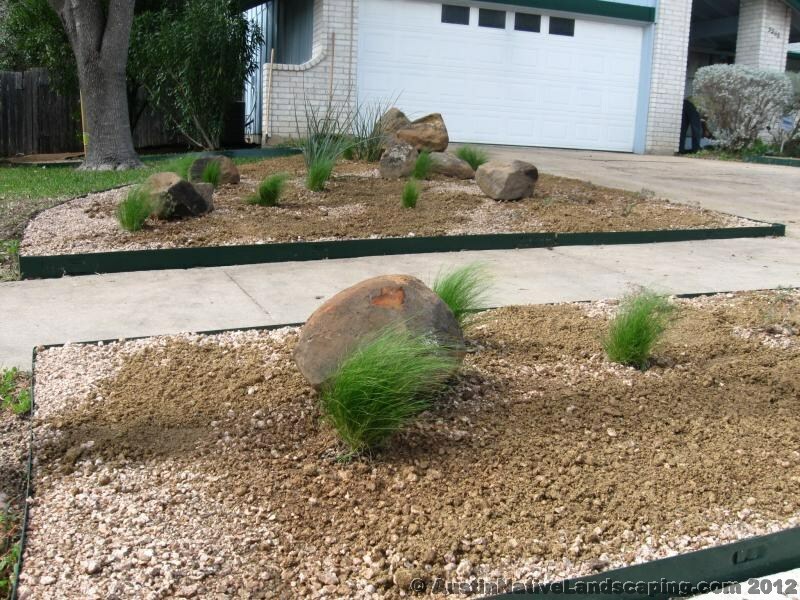 Check out this neat looking Xeriscape landscape we recently designed and installed. 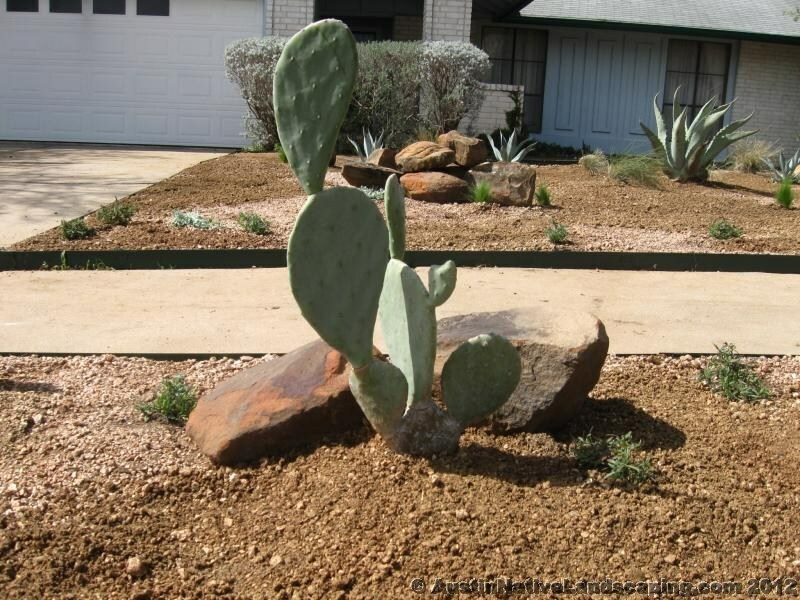 In the next week I hope to thoroughly elaborate the process of installing this beautiful desert looking, zen inspired, drought resistant Xeriscape landscape. 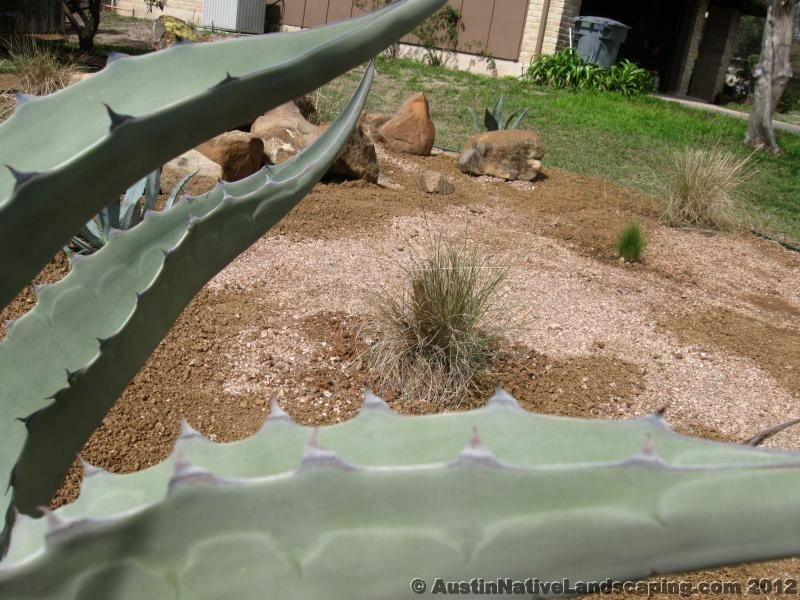 For now, Check out some more beautiful pictures. 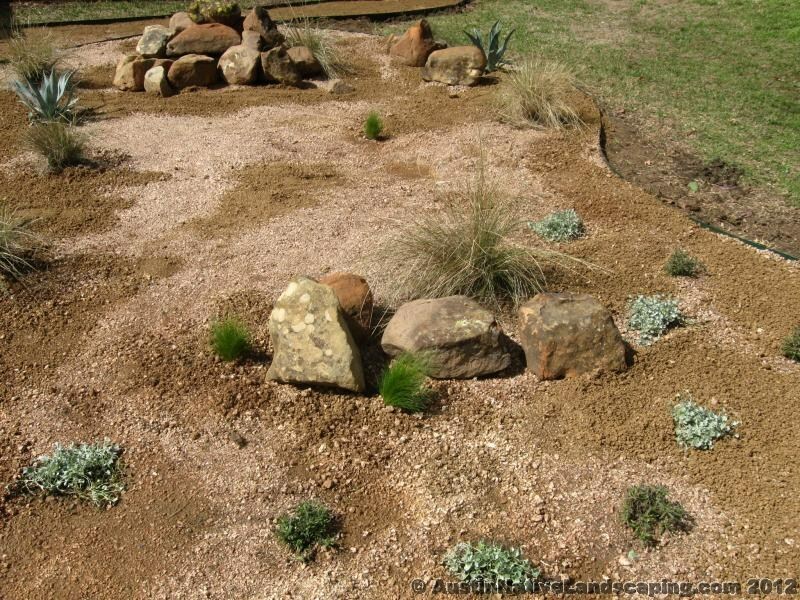 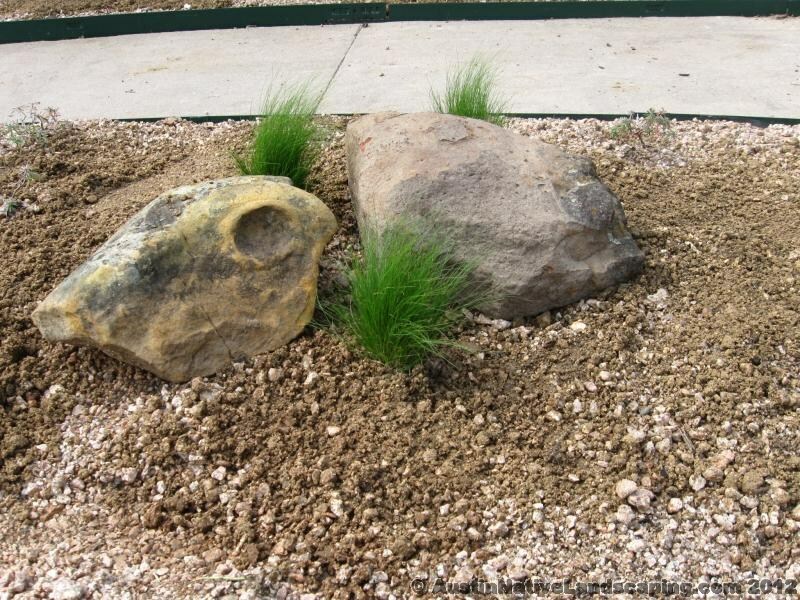 Previous: Previous post: Check Out Purdy Xeriscape Landscape Designs! 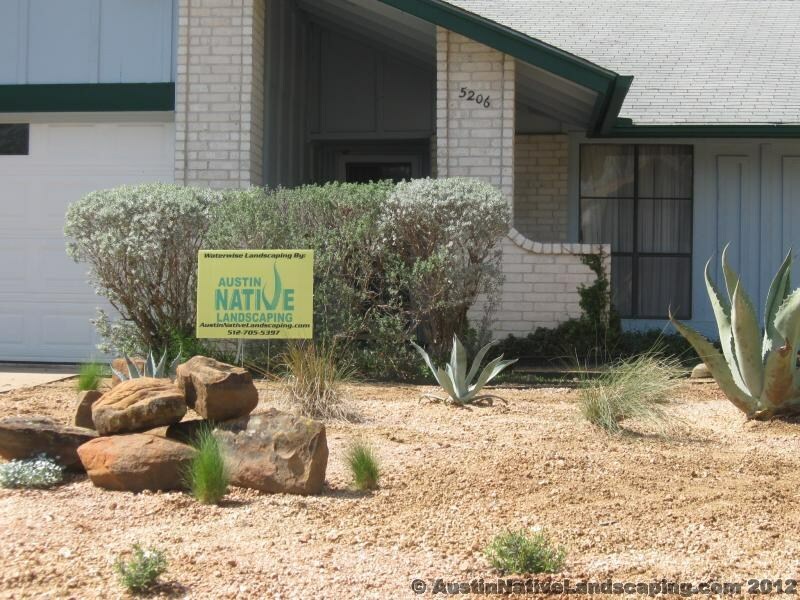 Next: Next post: Texas Mountain Laurel (Sophora secundiflora) Plant Profile! 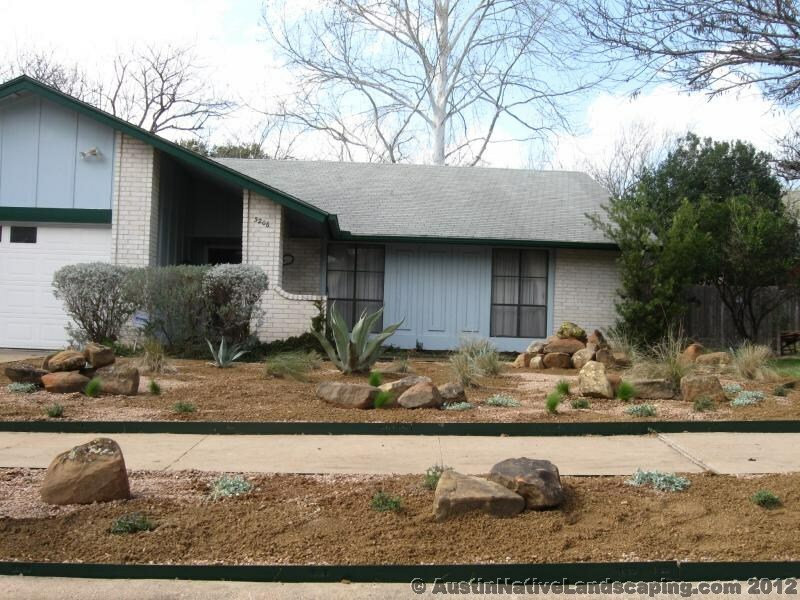 We are completely in love with our yard. 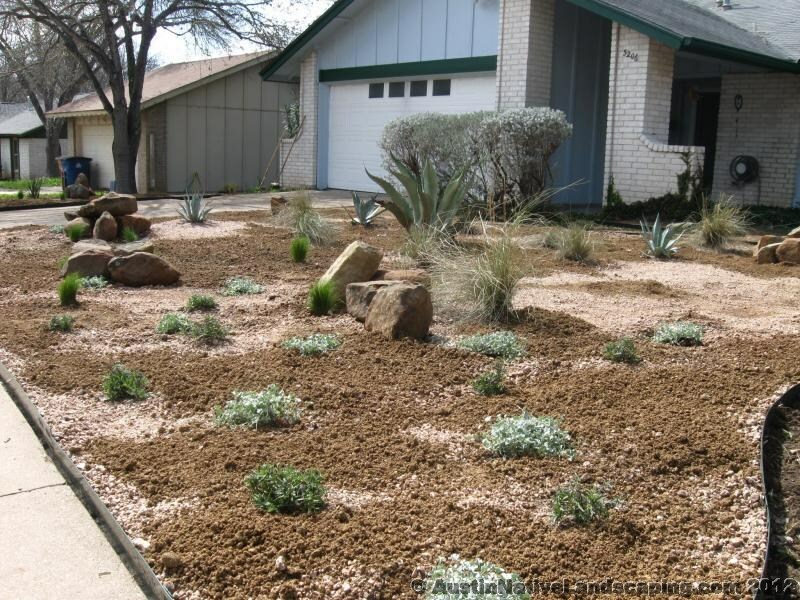 It is beautiful and we love the low maintenance it takes for upkeep! 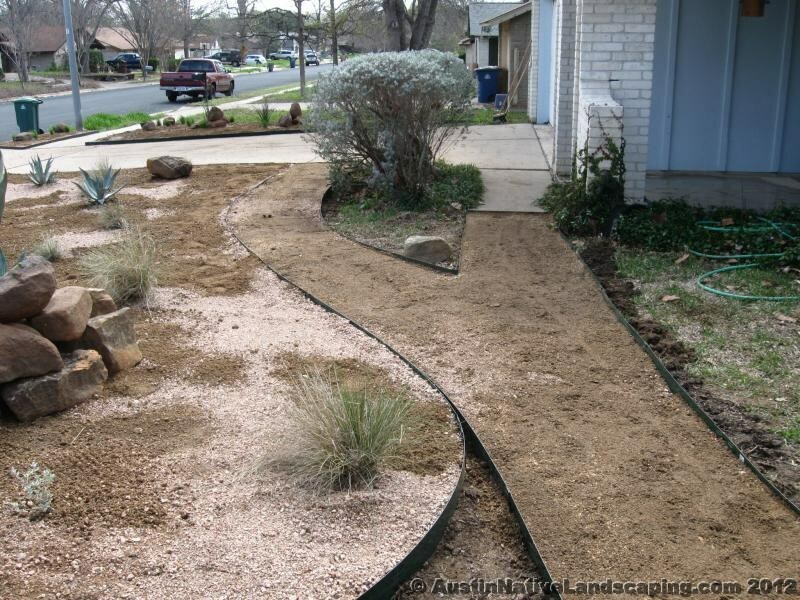 We have received many, many, many compliments on it. 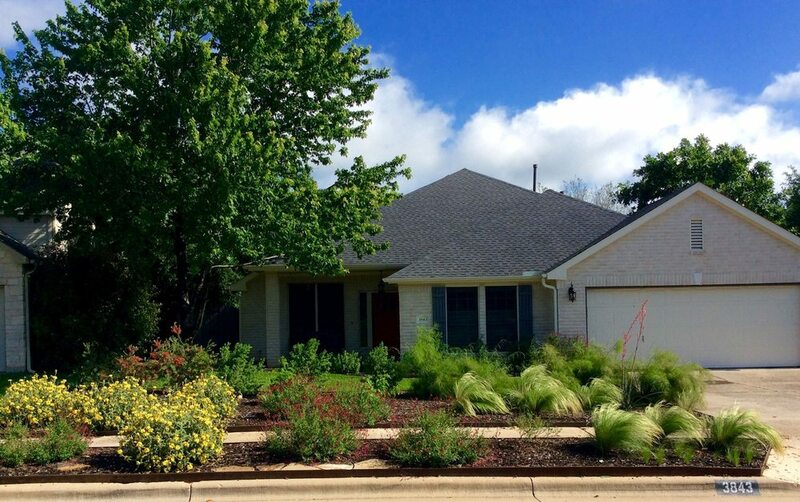 One of the things we loved about the house we purchased four years ago was the shade brought by three large live oaks in the front lawn. 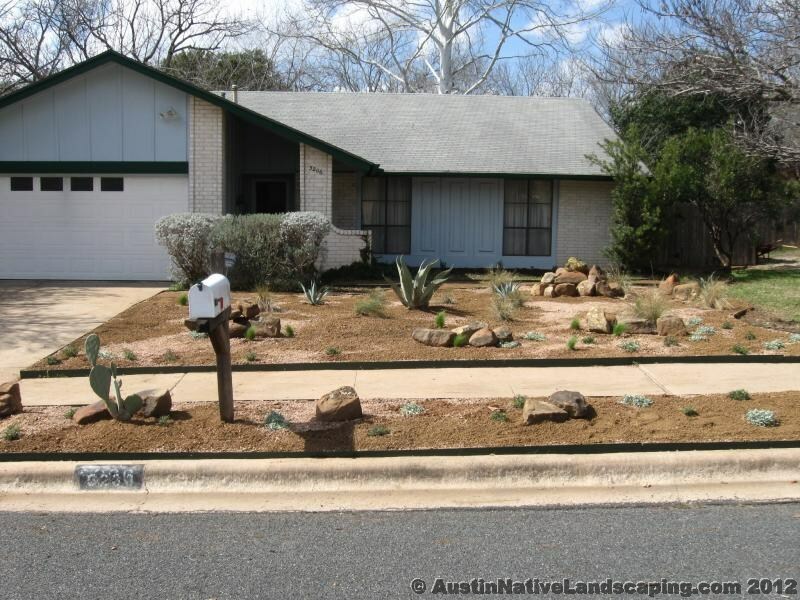 We didn’t realize, however, until we first raked it that the leaves on the ground were actually inches thick from years of not raking by the previous occupant, thus killing the lawn under it. 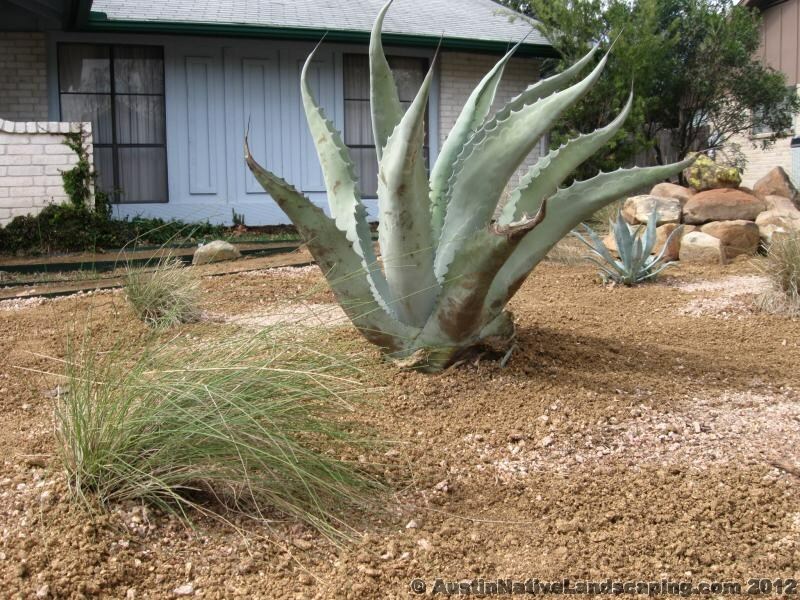 So, by our first summer we saw that we had a dust bowl in the front yard, that would not grow grass because of the shade and the water guzzling of the oaks. 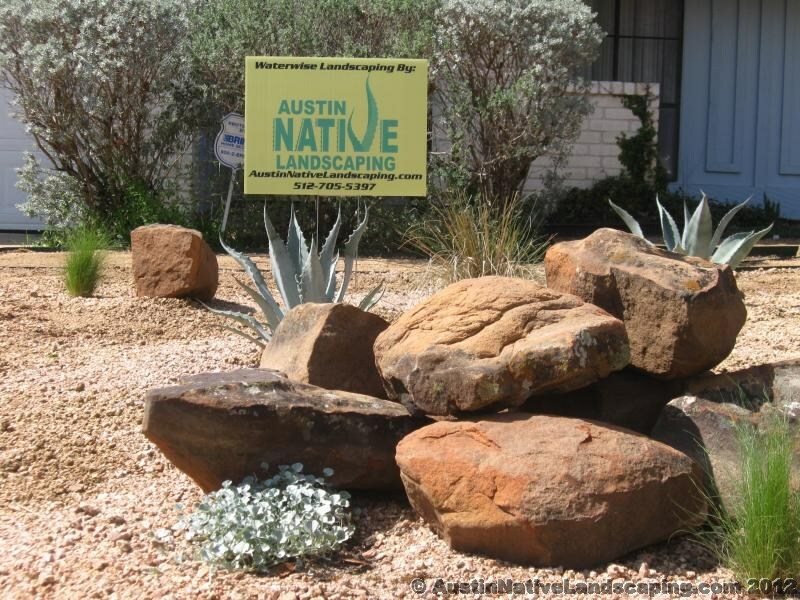 So after a few years of embarrassment over the state of our lawn, and concern about the amount of water we were dumping on the ground to maintain what little grass we had and trying to get more to grow, I found Austin Native Landscaping.